Mexico is arguably one of the greatest fishing destinations in the world. 6,000 miles of coast provide a wide variety of fantastic fishing locations, making sport fishing in Mexico particularly popular. With the Pacific Ocean on side of the coast and the Gulf of Mexico on the other, there is no shortage of ideal fishing spots, not to mention a huge number of different species waiting to be reeled in. The big attraction for anglers heading to Mexico is unquestionably the saltwater fishing opportunities. Thanks to fantastic deep sea waters surrounding the coastlines of Mexico, sport fishing for highly sought after big game species is massively popular, making it a go-to location for anyone looking to really test their angling skills. Plus, there are worse places to head for a fishing vacation than Mexico! 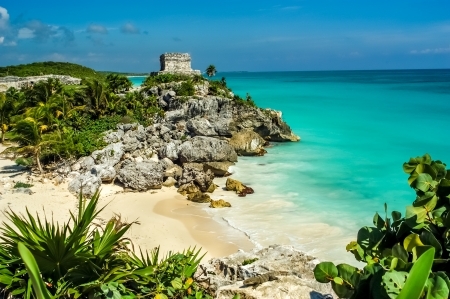 Great weather, golden beaches, both crystal clear and deep blue waters, friendly locals, and spectacular cuisine make visiting Mexico for a spot of fishing a no-brainer! Home to ultra-popular locations such as Cabo San Lucas, La Paz, and San Jose del Cabo, Los Cabos undoubtedly offers some of the best fishing in Mexico. This can be attributed by the incredible species that are found here, which happen to be some of the most prized amongst fishing fans. Such a rich variety of fish species is made possible here by to the merging of the Pacific Ocean with the Sea of Cortez. Marlin and sailfish are the big game found here, and they can mostly be caught throughout the year, although June to December is best for blue and black marlin, with April to October being the best time for sailfish. Mazatlán is a popular tourist destination, particularly amongst Mexicans, although sports fishermen have also been known to frequent here as well! As with many locations in Mexico, you can fish here year-round and not be left disappointed, although certain times offer different species, so it depends on what you are hoping to catch! If you are looking for marlin, December to April is the best time to try your luck, while sailfish are more likely to be found from May to November. Other popular species that are teeming in these waters include tuna, dorado and snapper, and seabass – there is no place better in Mexico for catching bass than here! Mexico’s most visited tourist resort, Cancun has no shortage of great destinations for anglers, for both deep sea and lagoon fishing, making it one of the best places to fish in Mexico. Cozumel is a small island just across from Cancun and is also a good location to head to as excursions can often be cheaper here than in Cancun itself – so take note! April to May offers the chance to catch bluefin tuna and white marlin, March through to June is the best time to visit for catching sailfish, while June to August is when to visit if you are aiming for blue marlin. Like most locations in Mexico you can enjoy fishing year-round here, and there is just an abundance of suitable locations throughout Cancun. 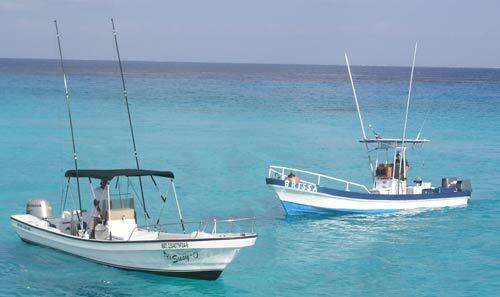 Other popular species to keep an eye for include grouper, barracuda, amberjack, and wahoo.